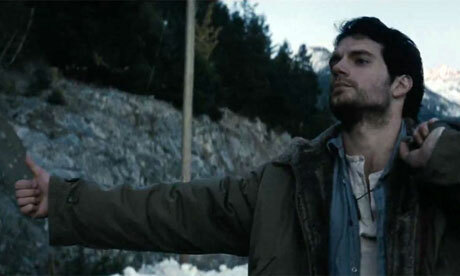 One of the most highly anticipated movies of 2013 is Man of Steel, the latest take on DC Comic's Superman. 2006's Superman Returns sought out to be a return to the franchise. After a chilly reception of the oddly cast film, the franchise was dead in the water again. Fresh off The Dark Knight Trilogy, screenwriter David S. Goyer and producer Christopher Nolan give us their take on the DC Comic superhero. The planet Krypton is in grave danger. Jor-El (Crowe) fears the take over by General Zod (Shannon) and his followers will lead to its complete destruction. 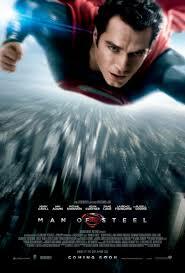 In order to save his newly born son Kal-El, he launches him off in a pod headed toward Earth. Jor-El infuses his son's body with a genetic code that will in turn preserve the Kryptonian race. Zod witnesses the escape of Kal-El and claims, "I will find him!" vowing to one day get his hand on the genetic code. 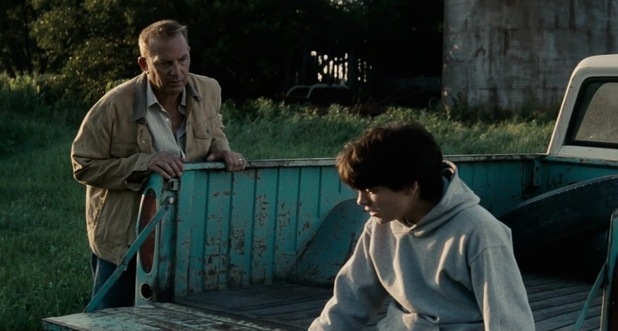 Kal-El is rescued and raised by Jonathan (Costner) and Martha (Lane) Kent in Smallville, Kansas. At a young age, he realizes that he is different than the other kids in his class. The Kryptonian genetic codes have given him a super strength and speed that he struggles to understand. He wants to use his abilities to help others, but is advised by his father to keep them harnessed for a later date. If the world finds out how special he is, they will only use it against him. Clark (Cavill) finds it harder to sustain his powers as an adult. He works odd jobs, lives in various places, and uses different names to stick to a mysterious life. He risks his true identity after rescuing workers near an Arctic plant. An archaeological dig has discovered space crafts that have been buried for thousands of years. 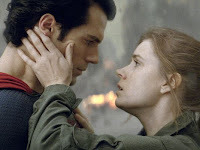 Daily Planet reporter Lois Lane (Adams) has been sent in to cover the discovery but turns her fascination toward Clark. 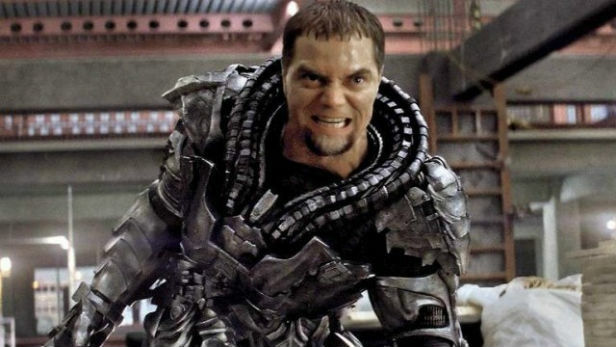 The discovery of the spacecrafts marks the return of General Zod who has finally found Clark. Previous Zach Snyder (Watchmen, 300) films have had similar issues with structure regarding the action versus character development. Man of Steel falls into that trap. The story digs into the origins of the Kal-El/Clark Kent/Superman story. You will not find Lex Luthor or Jimmy Olson in this version. One would think that an origins story would enrich the characters we know and love. I feel like the best scenes in the movie involve Clark, Jonathan, and Martha. There is a humanity and warmth to them that make the origins story more credible as Clark learns how to deal with his inner struggles. Unfortunately, the story should have utilized more of these scenes in the beginning and middle sections to further the origins story line instead of treating them like flashbacks. Lois Lane is given a different spin on how she approaches Clark Kent and Superman. Amy Adams portrays her as a tougher, no-nonsense reporter over the ditsy damsel in distress type character. Henry Cavill fills out that Superman suit very well, but stays pretty brooding throughout most of the film. The script does not give him enough to play around with in this portion of the story. I have faith he will only get better with each film as he settles into the different mindsets of Clark Kent versus Superman. The film seems to rely too heavily on cutting to the action sequences and the need for the Superman costume before delving into the heart of these characters. The audience sees the suit pretty early on in the film, and he stays in combat mode the majority of the movie. I had high hopes knowing that David S. Goyer and Christopher Nolan were involved. I am a massive fan of The Dark Knight Trilogy, so I was hoping for that same feel and tone. 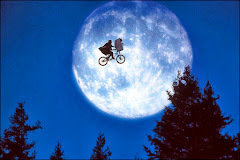 This is by no means a bad film. It has that first movie in a series syndrome where the filmmakers want to kick the series off into high gear with big action sequences but neglect key elements and flow of making it a standalone film. The ending of the movie is sure to please fans as it sets up the next installment well. You get the sense that the actors will really be able to play around more with their characters. I wish we would have seen more of that in this movie instead of waiting for the next.